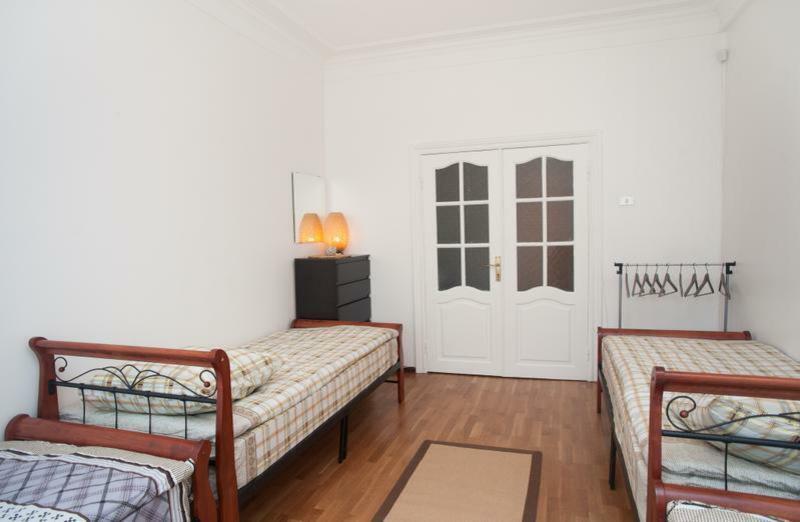 Atlas-Hostel is located in the heart of Moscow, in its historical and business 'reserve'. Here tend to get many visitors, and the Muscovites themselves. Near the hostel there are cultural area, popular among the residents. Many historical and cultural attractions attract many tourists. Atlas-Hostel is located in a cozy place, free from the collective gathering of people. Triple-pane windows installed on the windows, provide a high level of acoustic comfort. When the sash is closed in each of the four rooms is present peace and quiet. Modern air conditioners allow you to create the desired temperature level. Mattresses (all sleeping areas) provide a healthy sleep and comfortable stay in the rooms of Atlas-Hostel. To interested persons are four multi-bedded rooms, two of which - male (four and five people) and two - female (five or six people). There is a shared living room with a library and a video library, a separate toilet, a shower and toilet, mini-office solutions for the professional issues, fitted kitchen with all appliances and utensils. All rooms are cleaned constantly, linen is changed every five days, and towels are provided free ironing board, iron and hairdryer. All guests receive a complimentary tea and coffee, they have free internet access via WI FI. Hostel guests have the opportunity to visit the center of Moscow to meet with many attractions and sights in the 'pedestrian mode'. Big Garden street on which the Atlas-Hostel is located, displays on Tverskaya Street, Pushkin Square, where - a direct path to a ruby ​​star Red Square. After passing the old Moscow streets, you can get on Nikitsky Boulevard, which will lead to the Arbat. Guests of the Atlas-Hostel will be able to visit those places of the capital, which until its settlement in the hostel they could only read or hear about something interesting, but there is a 'very remote.' Nearby is the Bulgakov Museum and the same 'bad apartment' in the house 'three hundred and two encore.' The hostel is a few minutes walk to the Patriarch's Ponds, Triumph Square Garden 'Aquarium' Theater of Satire Theater and City Council - a truly historic attractions that everyone is talking about. If you want to get to another part of the city, it will be easy to do with the metro station 'Mayakovsky'. Metro Hall is also one of the capital's attractions. In addition, in the same building with the entrance to the hall subway station 'Mayakovskaya' is Moscow State Philharmonic Society. Atlas-Hostel enables to settle in the city center and see the capital in all its sincere thoughtfulness and cultural splendor!